(in Polish: Polskie Towarzystwo Przyrodników im. Kopernika) was founded in 1875 and is one of the oldest scientific societies in Poland. The constituent meeting of Polish Copernicus Society of Naturalists was held on the 17th January 1875 in Lviv (in Polish: Lwów). Professors of Lviv universities were initiators and founders of the Society. The first President was Feliks (Szczęsny) Kreutz, Professor of mineralogy. 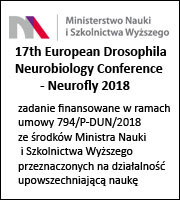 Currently, the President is Prof. Elżbieta Pyza and Vice-Presidents are Prof. Bronisław Cymborowski and Prof. Jerzy Vetulani. „Wszechświat. Pismo Przyrodnicze” (the title in translation into English: „The Universe. Magazine of Nature”), since 1882. 3) Section of Human Biology (Sekcja Nauk o Człowieku, Sekcja Biologii Człowieka). The Society is a non-profit organization. Members of the Society perform their duties honorably and our activity relies on grants and donations. Contact to the Main Board.